The following article appeared in the New York Times on March 23, 1880, detailing an early communication between Nestor Zass, the Russian Bishop of Alaska and the Rutherford B. Hayes, the President of the United States. WASHINGTON, March 22. — On Saturday last the President received a letter from Bishop Nestor, of the Greek Church, who was appointed a year ago to the Diocese of Alaska. The document contained a request to permit the bearer of the letter, Mr. Ivan Petroff, to say a few words in behalf of the Russian-speaking inhabitants of Alaska. The interview was granted, and Mr. Petroff, who is one of our citizens acquired by the purchase, explained briefly the reasons that had induced Bishop Nestor to take this step. The membership of the Russian church in the Territory is between 8,000 and 9,000, by far the largest single element of population in Alaska, and as such ought not to be overlooked in the event of legislation for the Territory. The bulk of this population is in the west, far away from the mining region now attracting immigration, entirely secluded from the outside world. These people have remained very much in their former condition, and, being deprived of all school facilities since the purchase, have even, in many instances, descended in the scale of civilization, and are to-day less fitted to hold their own among their new countrymen than they were 13 years ago. Should a full Territorial Government be bestowed upon Alaska this element of population would be in danger of suffering neglect, because they are not fitted to take part in a representative Government until some educational facilities are extended to them, and the English language is introduced among them. The President listened with interest to this demonstration of an important feature in the Alaska question, ascertaining the location of the parishes of the Russian Church on the map, and measuring the distance separating them from what may be called the American settlements. 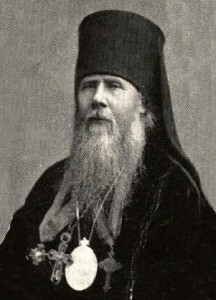 At the close of the interview he begged Mr. Petroff to assure Bishop Nestor that due attention should be paid to his representations, if Congress places it in the power of the President to do so, by making appointments with a view of guarding the interests of the people in whose behalf the Bishop makes his appeal.